The Honeywell QuietSet Table Oscillating Fan With Sleek Digital Controls! Representing the very best in terms of versatility and performance, the Honeywell Store's Honeywell product of the week is the perfect addition for those looking to beat the heat this summer. The Honeywell Store's extensive selection of Honeywell Fans has always been a premier solution to battling the heat accompanying the summertime months. The latest addition in a collection celebrated for its versatility, portability and overall output, the Honeywell QuietSet Table Oscillating Fan is an incredibly well-rounded fan that displays all of the strengths reserved for an exceptionally crafted Honeywell product. A sleek and contemporary finish paired with a relatively small design broadens your options for installation considerably. Regardless of whether you're searching for a fan to place on your desk, counter, table or any other sort of platform, you'll find no shortage of practical options to explore when setting up your fan. Accessibility is increased to an even further extent as this fan requires no additional assembly and is ready for operation right outside of the box. This fan incorporates a series of beneficial features that promote both versatility and safety. The selection of 4 levels of speed allows you to customize your cooling experience and achieve maximum efficiency. Easy Touch Controls have simplified the process of selecting your preferred setting to an even greater extent and remove the hassle of tinkering with the fan's controls. The additions of both overload safety protection and a fused safety plug encourage safety and promote general peace of mind when operating your fan. A sleek and contemporary design paired with an oscillating unit that's capable of varying speed settings have resulted in a natural addition to any home or office like environment. Featuring multiple nods to safety and a nonexistent setup process, this fan scores on all fronts and is the perfect remedy for getting the better of the summertime blues. 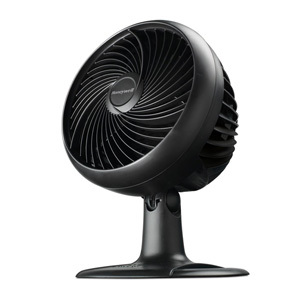 For these reasons and many more, the HoneywellStore.com is ecstatic to declare the Honeywell QuietSet Table Oscillating Fan our product of the week. 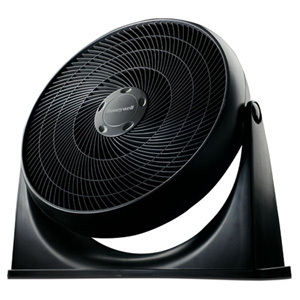 Honeywell Offers Tower Fans, Stand Fans, Floor Fans, Table Fans and More!